Great opportunity to acquire a seriously fun sports cruising boat equally at home cruising at 20 knots as 52 Knots when required. 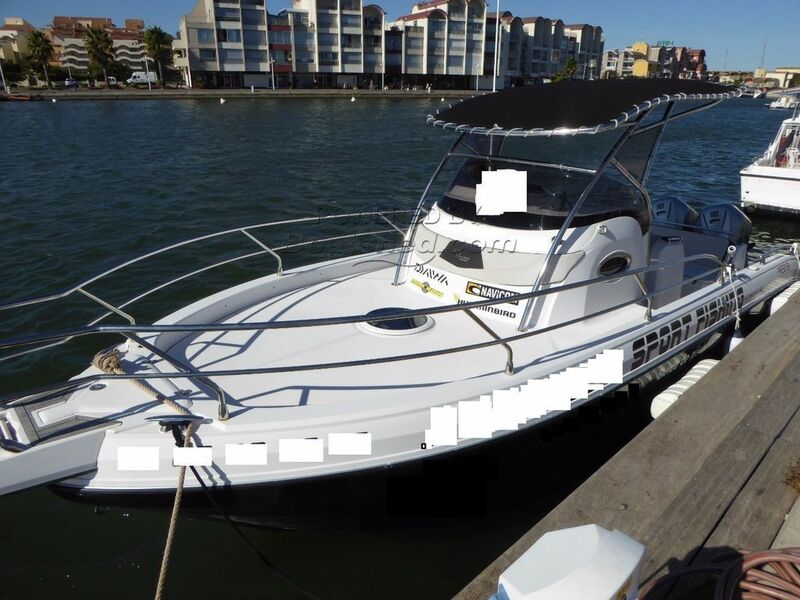 This boat was bought by the present owner in 2015 with just 50 hours and he has started a sports fishing business with this boat which has been very successful and he has now bought a bigger boat. The boat has been extremely well looked after and maintained. All the sign-writing is removable and removal is included in the price. The boat sleeps four in comfort and has a galley inside and has a single burner cooker and sink on deck. Huge fore deck sundeck with cushions. This Ranieri Shadow 28 Fast Sports Weekender has been personally photographed and viewed by a representative of Boatshed Sud Med. Click here for contact details.